Complete protection from photo therapy light. Supported by sophisticated infrastructure, we are capable of providing a large gamut of Surgiclude Orthoptic Eye Patch to our valued clients. Apart from this, we assure safe delivery of these products. Our eye patch are revolutionary ways to patching. Patching with cotton pad and tape is time consuming and awkward - plus the patches aren't reusable and can be uncomfortable. also referred to as a squint, lazy eye or cross eye. Ideal for treating lazy eye or when an eye cover is needed. 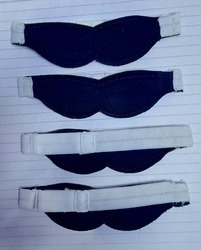 Opticlude Eye Patch fits comfortably behind glasses, yet allows the eyelid to move freely. This set contains a bandana and an ornament apart from the eye patch. 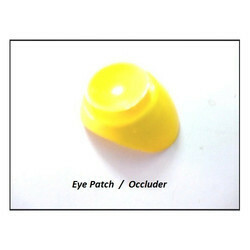 We are identified as a foremost firm of Eye Patch. Our product is enormously demanded in the market due to their longer working life. Note: Buyer's from Local Area will be preferred. 1 x Pirate Eye Patch, each pirate eye patch has a pirate emblem with an elastic strap and measures approximately 8cm x 6cm. Perfect for fancy dress and party bag fillers. - 3.25 In. x 2.25 in. - Sticks well, yet removes easily. Orthoptic Eye patch 20/box means each box contains 20 units, made from non woven breathable material are available in 2 sizes 8/6 cm and 5/6 cm. Please do contact us for further information. Owing to our rich industrial experience and vast knowledge, we are engaged in offering a wide range of Pirate Eye Patch to meet the needs of our clients. These products are manufactured using high grade base material and offer eye catching look to our customers. Moreover, we are offering these products at affordable rates. 1. Clean your face thoroughly. 2. Apply the Eye patch around your eye and smooth it with your finger tips. 4. Lie back to relax for 20-30 minutes.